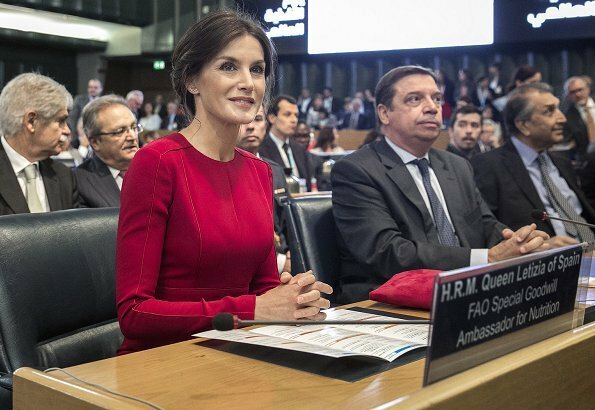 On October 16, Queen Letizia visited Rome, the capital of Italy to attend the World Food Day 2018 held at FAO Headquarters. 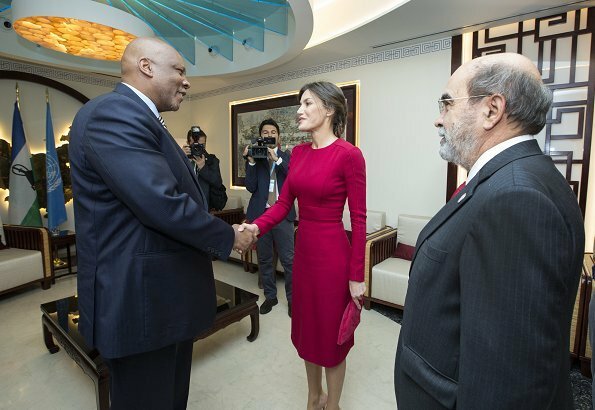 Queen Letizia was one of the keynote speakers at World Food Day. The Food and Agriculture Organization (FAO) celebrates World Food Day each year on 16 October to commemorate the founding of the Organization in 1945. This edition, the World Food Day has been celebrated under the slogan 'Our Actions ar our Future'. 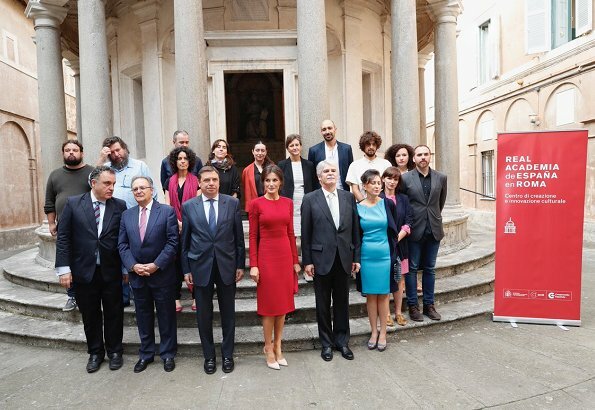 The Queen also visited the Spanish Royal Academy in Rome. Great dress, but do not care for her hair or shoe color. It must have been dark out when shoes were selected. 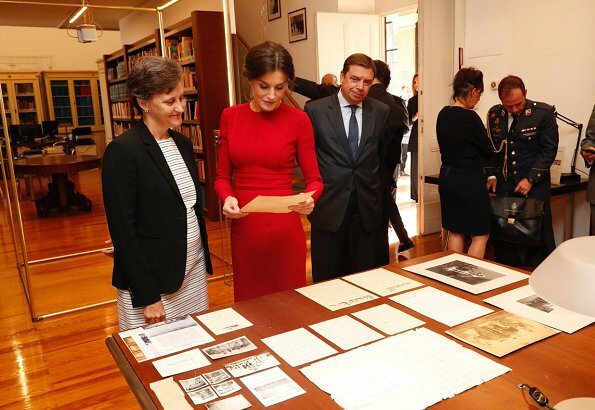 The queen's dress and hair are perfect. Becoming color dress and nice hair. 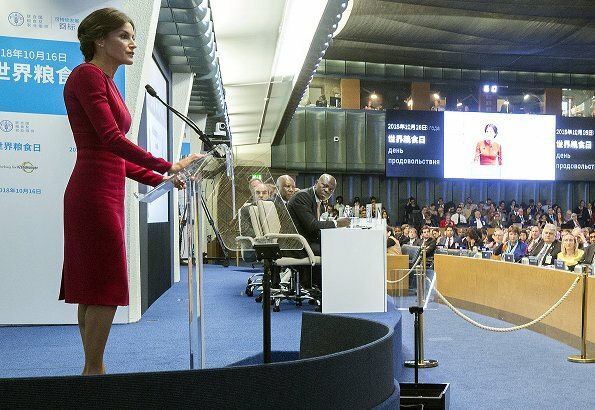 Well done Letizia. She looks great. Beautiful red dress, lovely hairstyle and shoes. 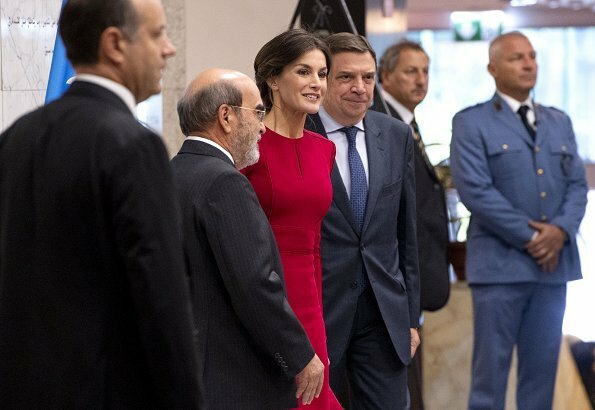 Me encanta que no tenga problema en repetir vestido. Guapa y gran labor. Lovely Leti. Great colour, great fit, great hair. Repetición del vestido de Covadonga, sencillo y elegantísimo. 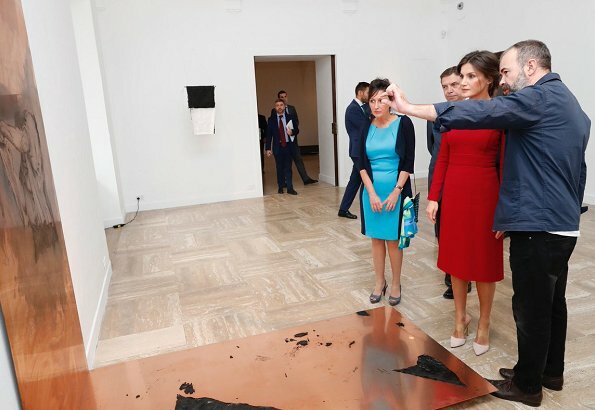 Lástima que el peinado no se vea por detrás en ninguna foto, porque es magnífico. De acuerdo totalmente, soy la de siempre, no es necesario decir nada, lo bordas, siempre tan educada. Great looking dress and color. Another win for the queen, this dress is simple and so well structures. I am not crazy about updos but this one is one of the best. Great shoe selection, introducing a playful touch to a serious outfit. Beautiful dress, shoes and lovely hair. It's nice to see that she repeat the dress that she wear very recently, great atitude. Me gusta el vestido y peinado; se volvió a retocar cara!! ¿Cuándo, si tiene eventos casi cada día? Ve a contar cuentos al foro belga. 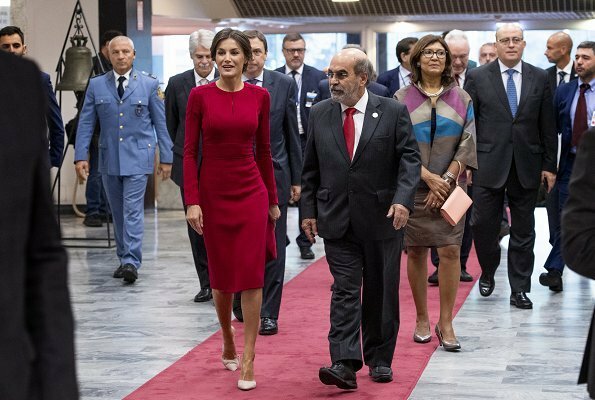 Queen Letizia rocks everything she wears.